Is it possible to have full motion video on a VIC-20. Well... with the proper hardware and some highly optimized code... YES! 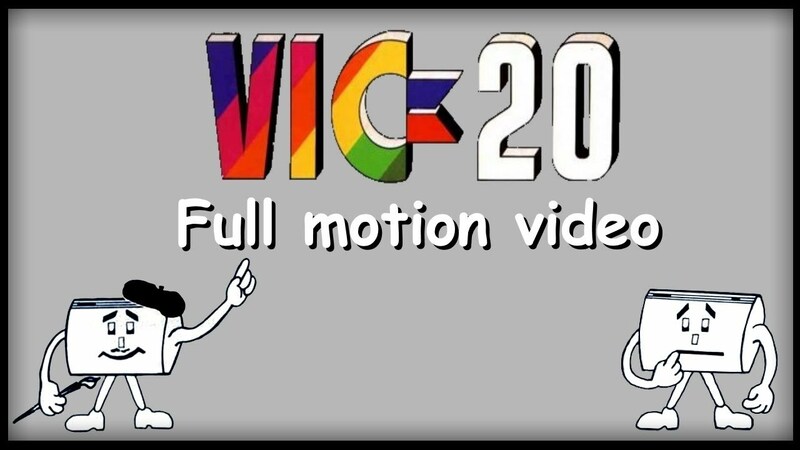 What you see here in this video, is a world first, never before has a VIC-20 been used to show full motion video. Never before has a VIC-20 been used to play a music-video with 2 select able audio channels, one normal and one karaoke. The Cassiopei in combination with an experimental user port expansion, allows to send data through the userport at approx. 58kB/sec. Please note that the only thing inside the cartridge port is a memory expansion of only 3K. This method of data transport through the user port does not make use of DMA, all data is to be handled by the processor. However... by using the userport it does allow this principle to work in the same way on a VIC-20 as on any other CBM computer. Therefore complimenting the functionality of the Cassiopei, which connect (thanks to the cassette port) also to every Commodore computer. However this doesn't mean that FMV is possible in the same way, for example the C64 has bad lines, which would make the transfer of data a little bit more complicated to function as efficient as it does on a VIC20. However the C64 has some handshaking lines that the VIC20 hasn't allowing for even faster transfer rates to compensate for the bad lines.